Lord Ganesha, the son of Parvati and Lord Shiva, is the most well loved and widely worshipped deity among Hindus. Ganesha, also known as Ganpati, has been represented with the head of an elephant in Indian art for as long as anyone can remember, and there are many explanations for how he got his elephant head. Lord Ganesha symbolizes strength, wisdom, prosperity and good fortune. 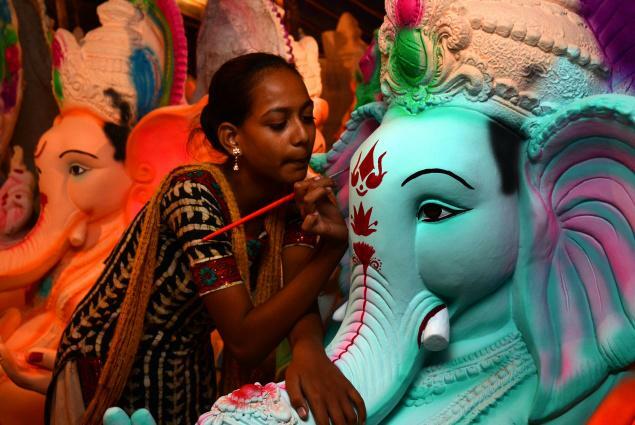 Every year Hindus celebrate Ganesh Chaturthi in the month of August or September on the occasion of Ganesha’s birthday. 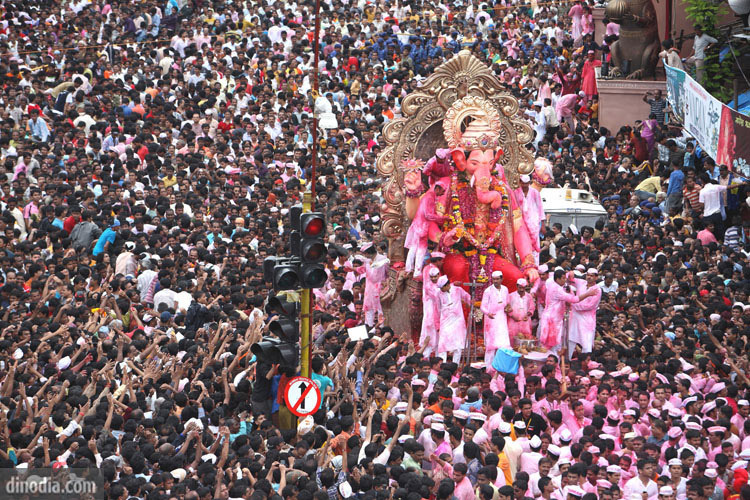 The festival lasts for 10 days and large pandals (temporary structures) are erected all over the city where beautiful handcrafted statues of Ganesha are housed for the duration of the festival. People visit these pandals and there is a great deal of food, music, new dresses and socialising. The traffic goes crazy during the festival but people still manage to go to work in the day and join the celebrations at night. 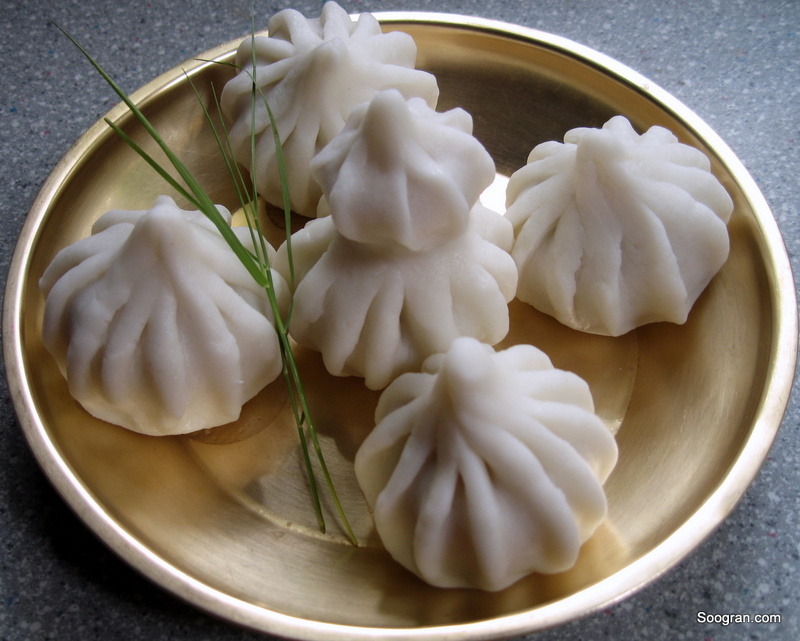 According to mythology, the Lord Ganesha loved eating modaks– and this remains the most popular dish of the festival. Modaks are basically rice flour dumplings filled with coconut, jaggery and condiments. The only downside to the festival is the environmental impact of the visarjan. The visarjan refers to the immersion of the statues in the lakes, rivers and in the sea on the last day of the festival. 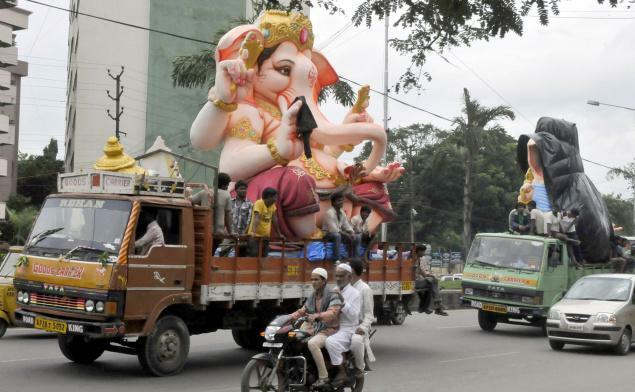 Small vans and large trucks carry the idols towards the visarjan venues while people dance behind them, singing and playing drums. But more and more people are switching to eco-friendly materials now. In fact, just a few days back the Armaan Club kids at MarketPlace got a lesson in making eco-friendly Ganesha idols. Here’s wishing everyone a fun-filled Ganesh Chaturthi!